The Women’s International Leadership Institute promotes the leadership potential, employment and economic self-sufficiency of women from low-income backgrounds through educational programming, skill-building and charitable acts. Activity Purpose: WILI has provided financial support to economic development projects that are in their start up phase. 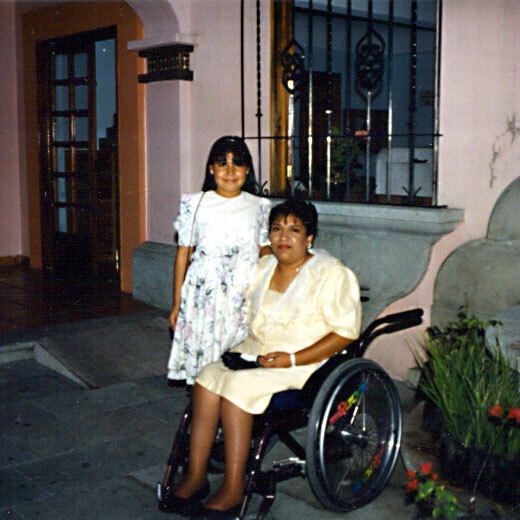 For example, a first project of WILI was to support the economic development efforts of indigenous women with disabilities in Oaxaca, Mexico who wanted to develop a restaurant in the city of Oaxaca that would employ women with disabilities in all areas of restaurant management, including administrative activities, food preparation, food serving, and cleanup. Activity Purpose: WILI can provide for the education/training/capacity-building needed in order to insure the success of the economic development projects WILI has chosen to support. For example, WILI’s support of the restaurant project mentioned in Activity One above also included training in restaurant management and appropriate work habits. The training was provided on an individual-basis at a restaurant, the Café Poca Cosa, in Tucson, Arizona. Activity Purpose: To engage in research activities that document the needs, or further explore the needs, of the women involved in a given project; the women participate in the research not only as subjects, but also as managers of the research effort, thus WILI supports the participatory action model of research. Two sources of financial support of WILI activities are anticipated to be non-profit foundations or organizations and government grants or contracts. Monies from these two sources of financial support will be solicited by WILI to pay for research expenses such as staff and materials. Activity Purpose: As a first step, the organization developed a contact list for soliciting support from the general public. All contributions to WILI are tax-deductible. The WILI Advisory Board makes recommendations to the Board of Directors regarding specific funds to solicit; for example, grants from other exempt organizations. The Board of Directors makes all decisions regarding specific funds to solicit. Money to operate WILI also comes from both private contributions and responses to specific fund-raising efforts. WILI was organized in response to the problem of women in poverty and low-income women who do not have the education or leadership skills to improve their economic situation— women whose day-to-day activities are so focused on survival at minimal subsistence levels that they can not move forward in terms of increasing their own education (and thus improving their economic situation) or skill-level in terms of economic self-sufficiency. These women live all over the world thus WILI chooses to be international in focus. Women who benefit from WILI’s activities may live anywhere in the world— from Southern Appalachia in the United States to southern Mexico— and beyond!. WILI is a tax-exempt organization [501(c)(3)] as defined by section 501 (a) of the Internal Revenue Code. Copyright Women's Internatial Leadership Institute 2016. All Rights Reserved.